Hair Club Louisville building is located in a black glass 3 story building with Triad East in large silver letters on top. Enter the building by parking in the front or back and coming through either of the glass doors. The elevator is located in the main lobby on the back side of the open staircase. Take the elevator to the 3rd floor. Take a left, going past the bathrooms to wing 3A. Enter the hallway through the wooden door. We are the 2nd door on the right. Enter through the glass doors marked HC Consultations. Go to the 2nd stoplight: this is Hurstborne Lane and Linn Station Road Intersection. Taking I-64 West heading towards Louisville, exit on I-64 at Hurstborne Lane, Exit 15. 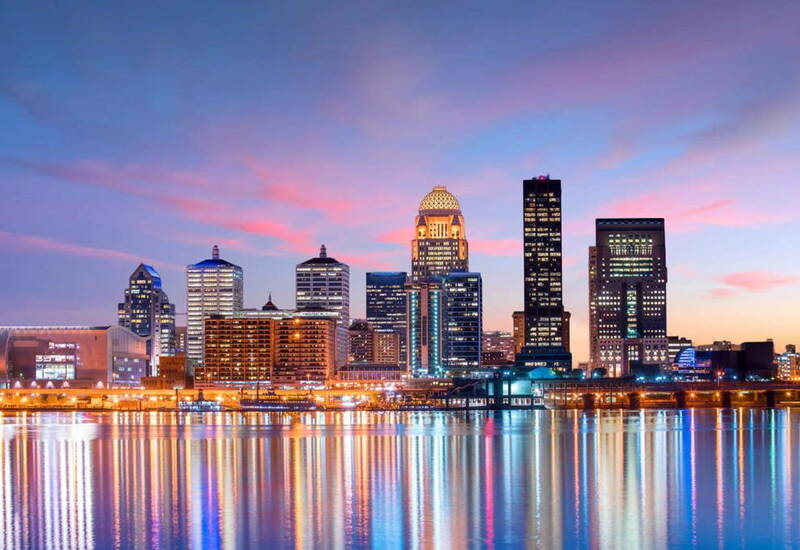 Over the last 14+ years as a Louisville HCM Customer, I have notice significant improvement in the professionalism, appearance (office and personnel) and overall office management. The overt team effort is not only readily apparent but ideal for problem solving. The Louisville staff is extremely responsive, helpful and flexible in the scheduling process. The manager is a no nonsense, customer oriented leader. Very impressed! As alluded to earlier, the Louisville staff is very responsive and flexible and I feel confident that my input/recommendations to them will be acted upon. From a corporate perspective, recommend that HCM produce more brochures to help differentiate the different program levels and how it relates to scheduling. I was very impressed wth the consultant@ Hair Club in Louisville. The office is very beautifully &amp; tastefully decorated. The consultation room was welcoming. The consultant was not only friendly but very knowledgeable. Jim Loar explained the various phases of hair growth as well as the loss of hair. We understood everything and didn't feel overwhelmed. Photos were taken and explained. The cost of various services was given to us and a time table. The consultation cost absolutely ( 0.00$ ) I would reccommend this facility to anyone looking to revive their hair and receive an honest Evaluation. Awesome stylelist and great people to be around! the customer service is incredible, courteous and sweet folks working here. I started going to HCM approximately 8 years ago, when I started losing hair from lupus. HCM consulted me on the various hair recovery programs offered and did not pressure me on which to select. The hair helps me to feel more like myself and natural, rather than wearing a wig that comes on and off. The staff is nice and makes me feel at ease.-ARNETTA A.
I started going to HCM approximately 8 years ago, when I started losing hair from lupus. HCM consulted me on the various hair recovery programs offered and did not pressure me on which to select. The hair helps me to feel more like myself and natural, rather than wearing a wig that comes on and off. The staff is nice and makes me feel at ease. -Arnetta A.